Do you have a website generating consumer finance leads? Have you invested heavily in time and/or money in SEO and PPC? Are you interested in how to maximise the profit from each of your hard-earned leads? If you answered YES! to the above questions then you MUST read on! 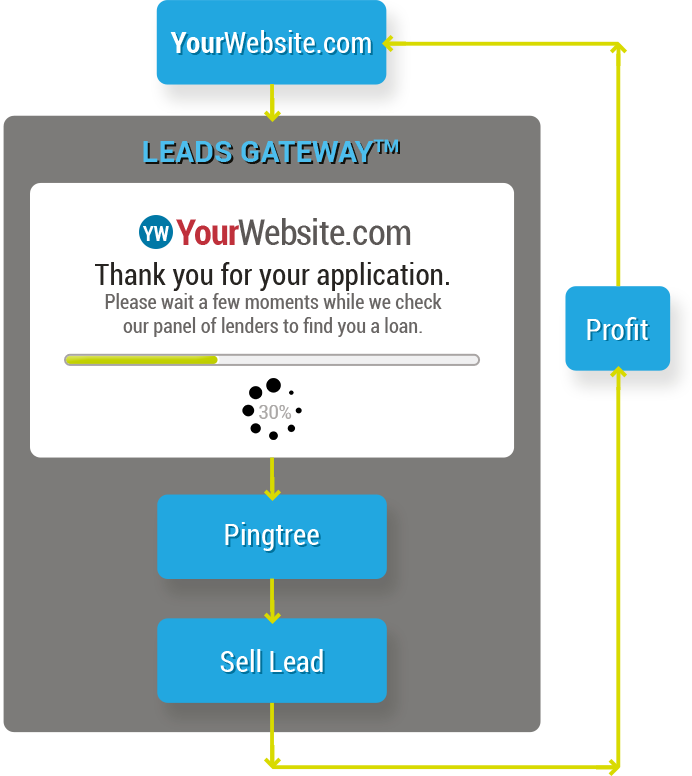 Leads Gateway® is designed for Lenders looking to monetize their declined leads in real-time or Website Publishers who simply want to make more profit.